Sure, your home’s bathrooms are more “functional” than anything else – do we really need to talk about what goes on in there? But, setting aside the “functionality” of your bathrooms for a moment, have you ever stopped to give some thought to their design? 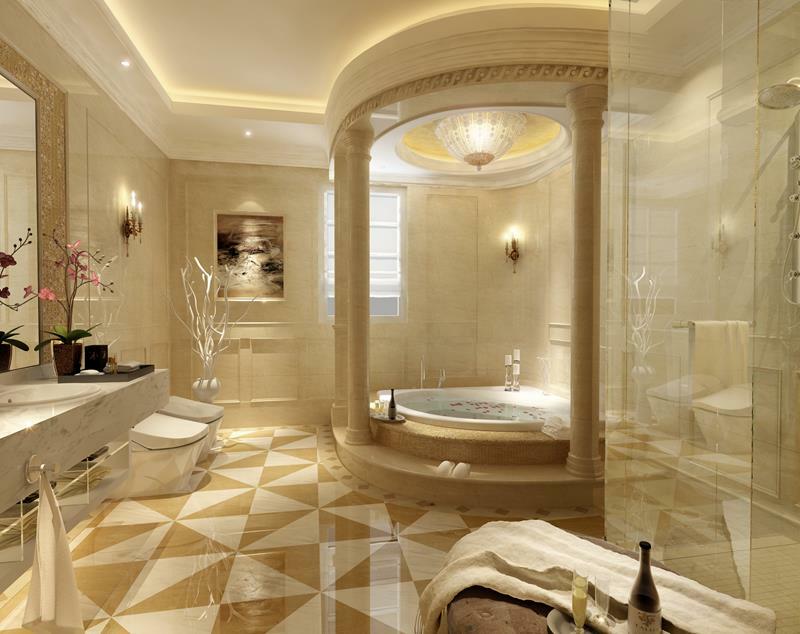 While a bathroom is a bathroom, a well-designed, laid-out and conceived bathroom is a joy unto itself. 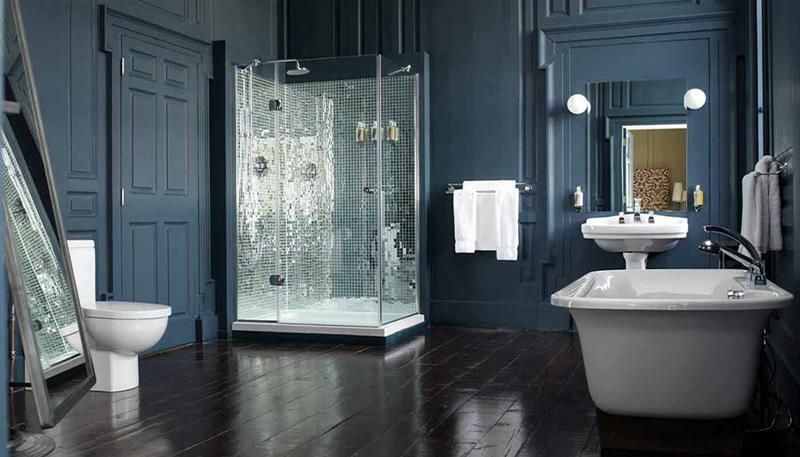 To give you an idea of what we mean, we’ve decided to collect 55 amazing examples of luxury bathrooms. As you’ll see on this list, there are a number of different things that can be done that transform bathrooms into rooms you’ll be happy to spend time in. Throughout, you’re sure to see a number of tubs, both built in and freestanding; gorgeous sinks and vanities; as well as some interestingly designed toilets. In addition, you’ll see a number of different materials used to construct everything, from marble and concrete to metal and wood and everything in between. 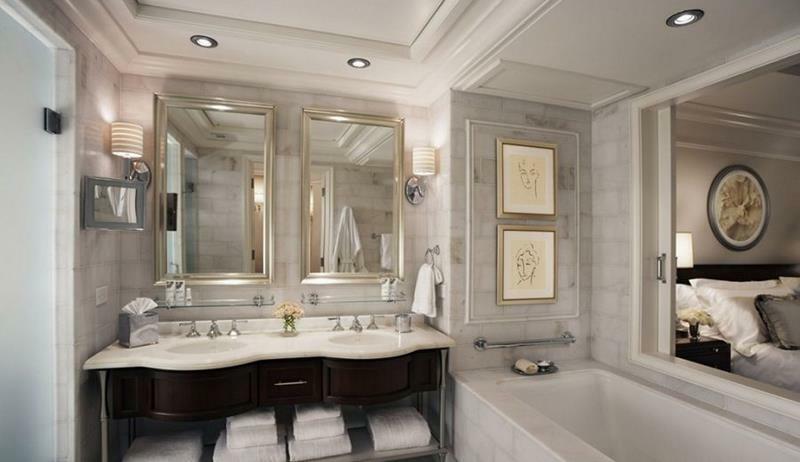 So, if you’re sick and tired of your bathroom’s same-old-same-old look, then come take a look at these ultimate luxury bathroom designs. 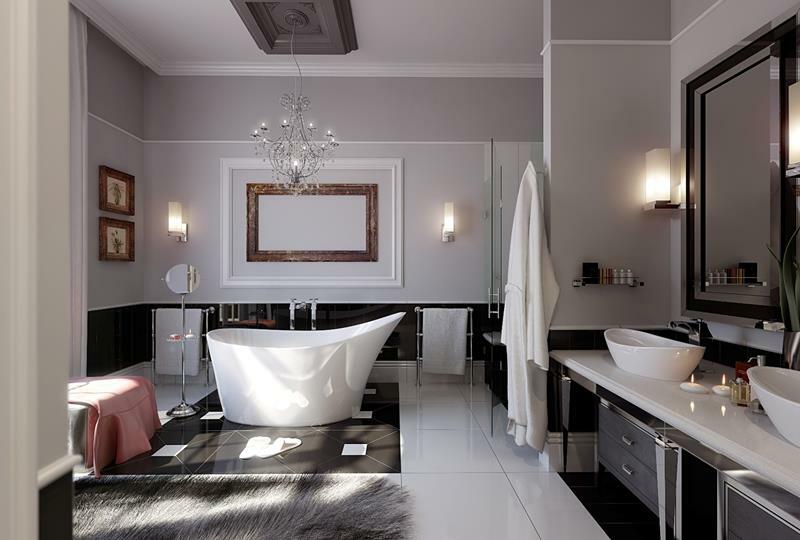 In them, you’ll find plenty of examples of things that can be done, and maybe – just maybe – you’ll find the inspiration you need to create a luxury bathroom of your own. 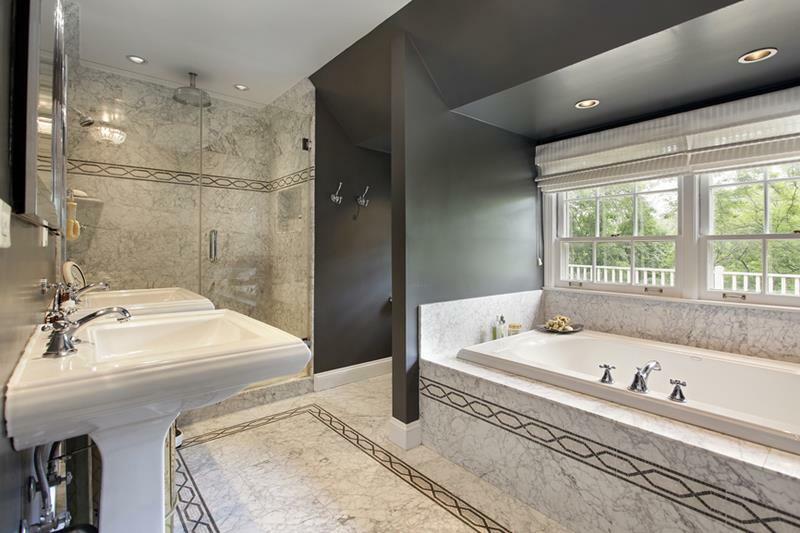 If you’re trying to capture that luxury look in your bathroom design, then you’ve got to consider marble surfaces. 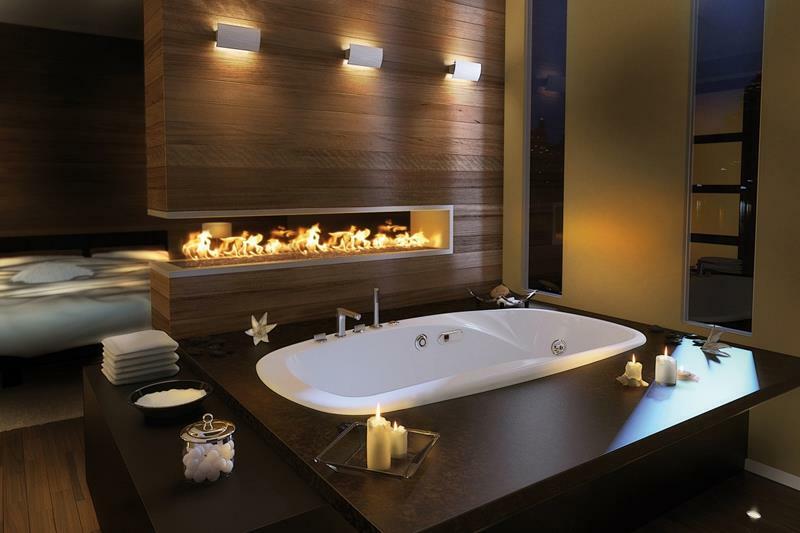 To really increase the luxury level of this design, a gas fireplace has been incorporated into the floating wall between the bathroom and the bedroom. Although massive enough already, the reflective glass and marble surfaces of this luxury bathroom make the space appear even larger. There’s no denying that the deep blue color palate of this luxury bathroom is a smart and rewarding choice.